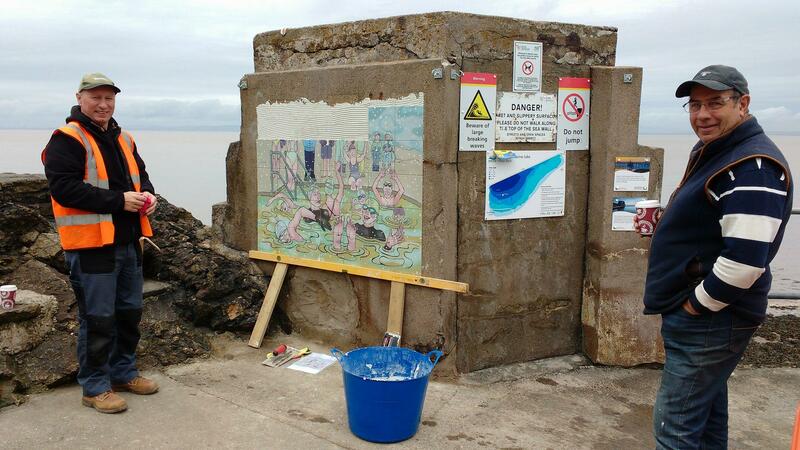 My artwork is on the Sea Wall at Clevedon! 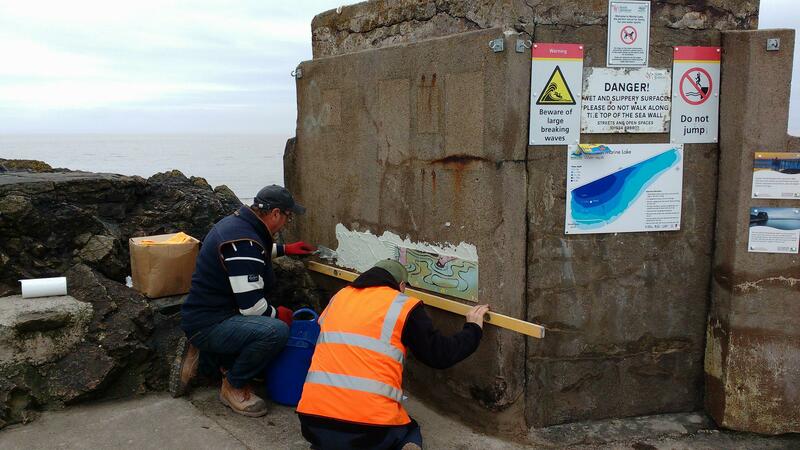 Well it’s not often you find someone nips into your local swimming spot and cements your artwork to the sea wall! Three pictures I created for the Clevedon Marine Lake in the summer of 2016, lovely to finally see them on the wall. I haven’t actually had a chance to go and see them in real life yet and get photos in a bit of decent sunshine, so here are also the original designs so you can see them in their full detail. 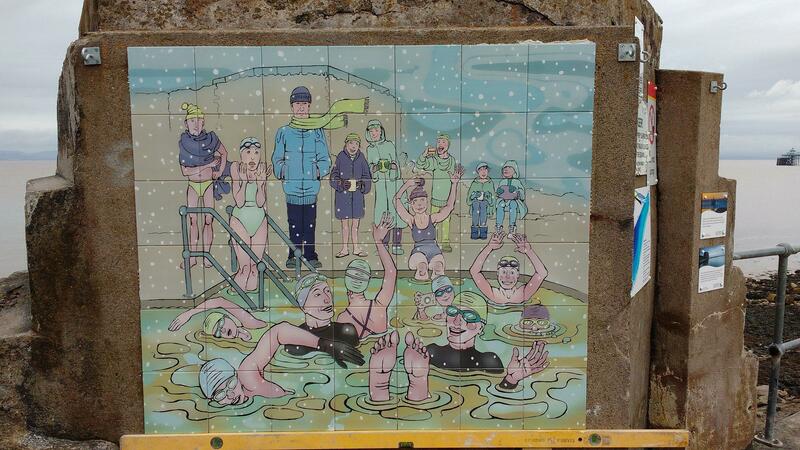 Swimmer tiles being installed on the disused pumphouse – or whatever this thing is next to where we get in..? 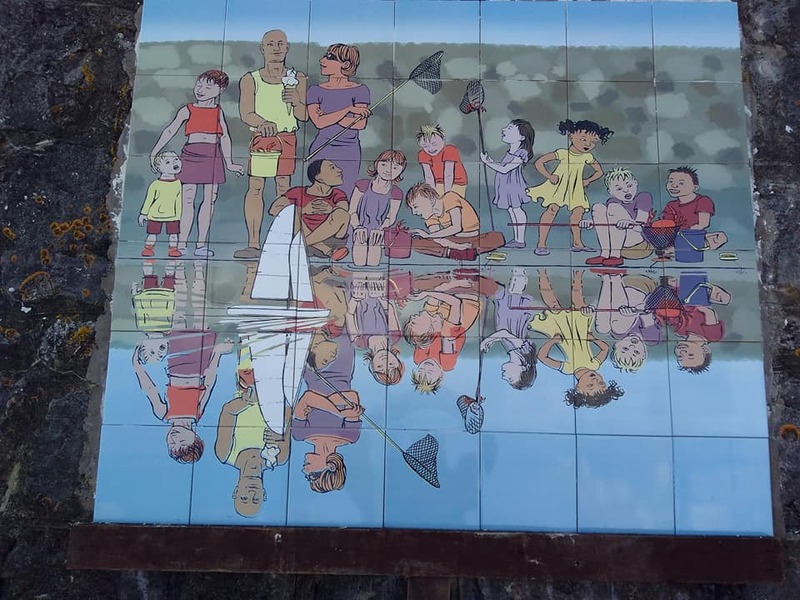 If you are interested in how these came to be, the original bid for lottery funding to restore the lake mentioned installing artwork, as part of the improvement of the lake, but it was no more specific than that I think. 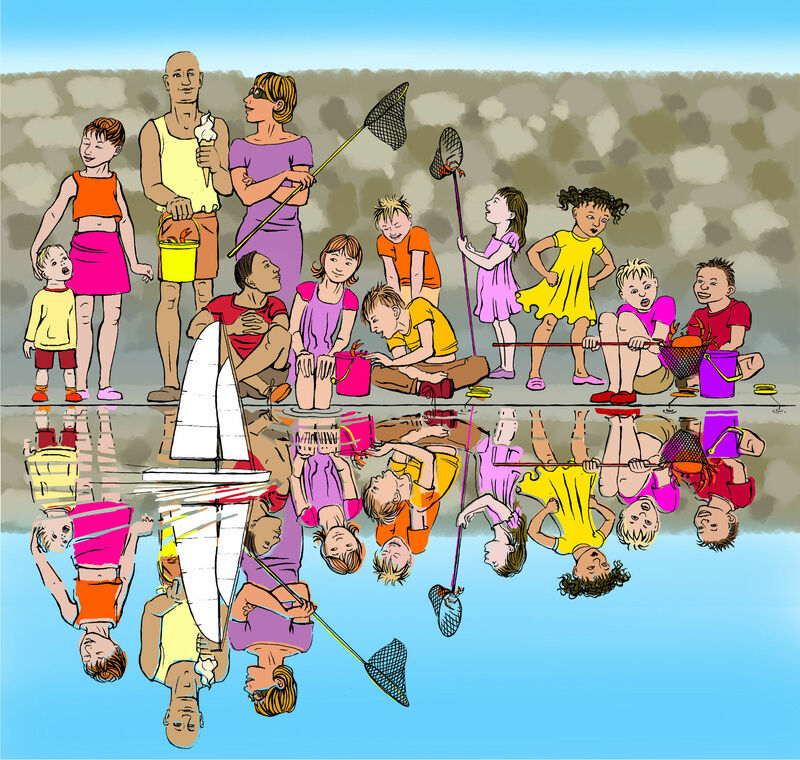 By the time Jo Tasker was lake warden I had started drawing a lot of the goings-on of swimmers at Clevedon, and other places where I went swimming and Jo asked very nicely would I like to create a picture that could go on the sea wall. My first idea was there should be 4 pictures, one for each season, but then it turned into 3 pictures, one for each activity. It made more sense, or there would just be swimmers in each picture! And so finally they are up, all of a sudden! 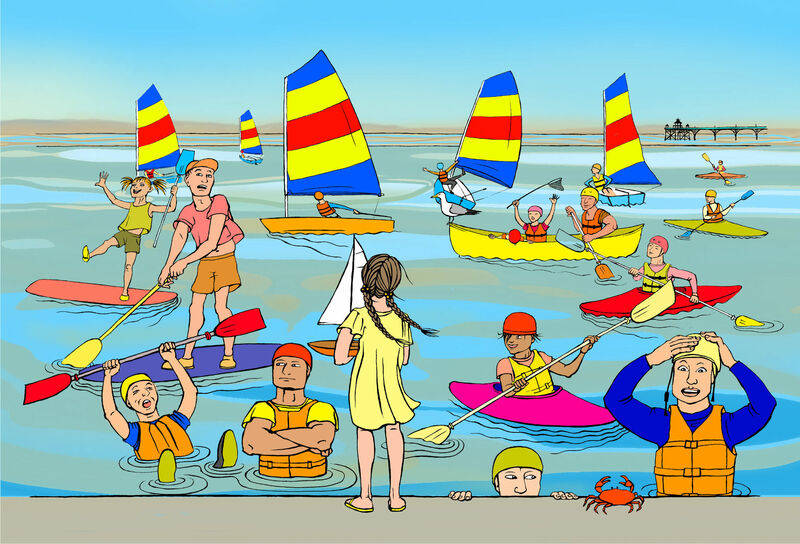 Swimmers, boaters and crabbers. Especially pleased that they had the good sense to put the swimmers picture next to where we swimmers change as that’s my favourite. 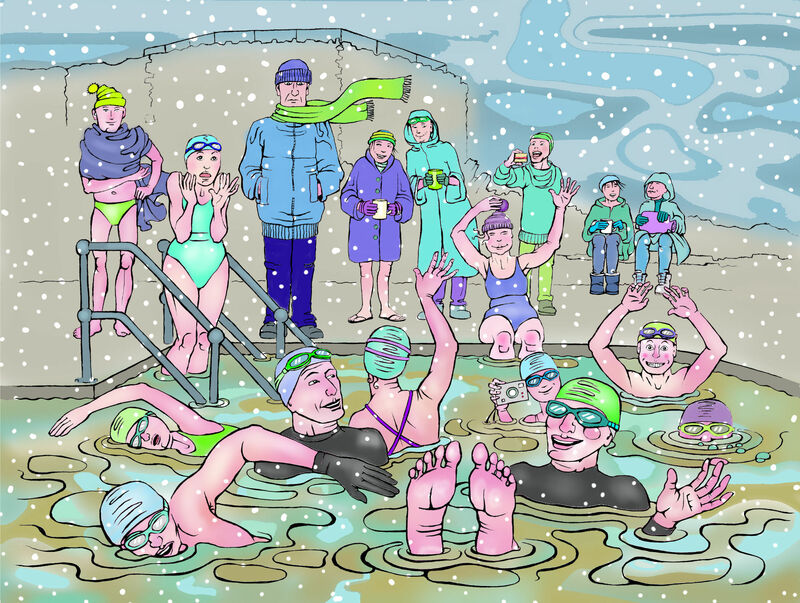 I had to invent people for the other two panels, but the swimmers: I know all these people, they are real! 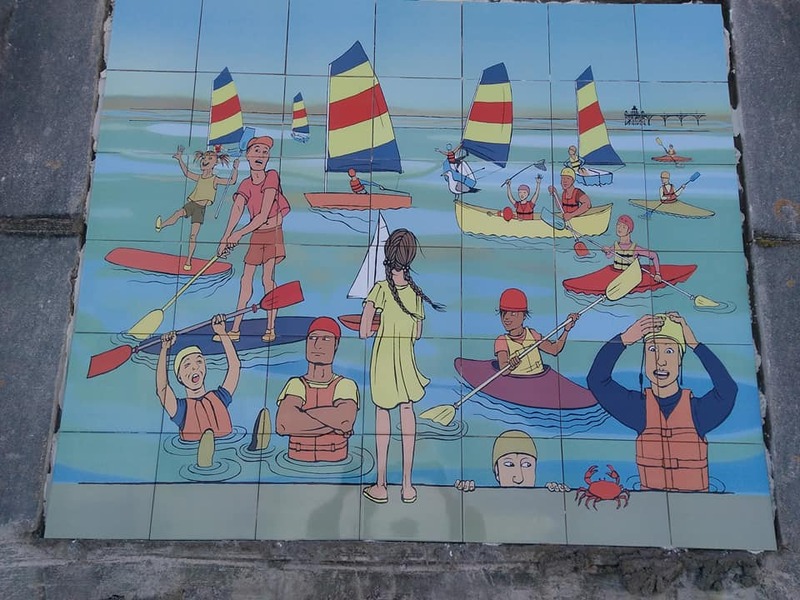 This entry was posted in commissions, drawing, swimming and tagged art, Art installation, Boating at Clevedon, Clevedon Marine Lake, Clevedon Swimmers, crabbing on April 25, 2018 by Nancy Farmer. Wow, they look excellent! Well done, you.